Vermont's burgeoning video game development scene got another boost over the weekend — students from the Champlain College Game Studio in Burlington won top honors at GameFest, a regional game development competition hosted by Rensselaer Polytechnic Institute in Troy, N.Y. 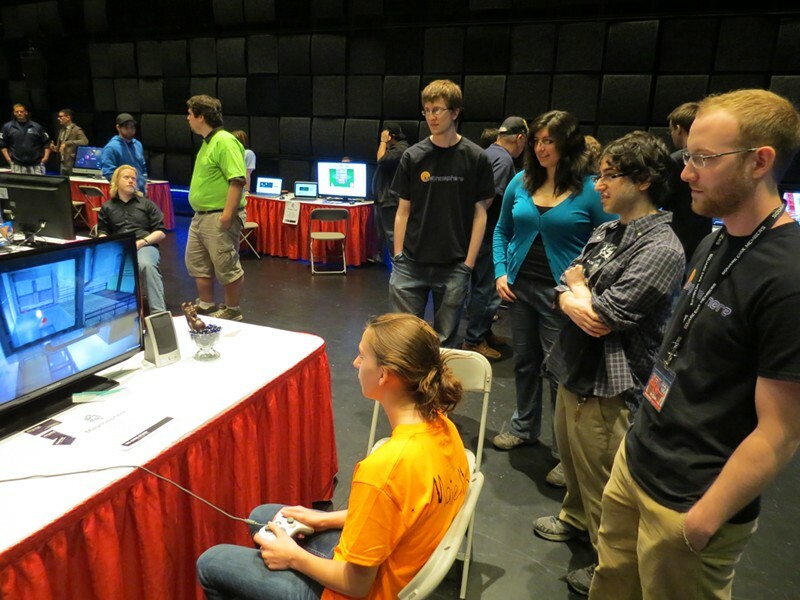 The photo above shows members of the Magnosphere team watching as another contestant plays their game. From left to right, they are: Scott Gilman, Christina Aceves, Andrew Gould and Ian Cubin. All are graduating seniors. Ferguson explains that GameFest was both a competition and a showcase. There were 45 teams of students participating in the showcase, but each school was allowed to enter just five teams in the competition. Both tracks took place in RPI's swanky EMPAC performing arts center. "Last year it was in a gym," quips Ferguson. "It was a big upgrade."